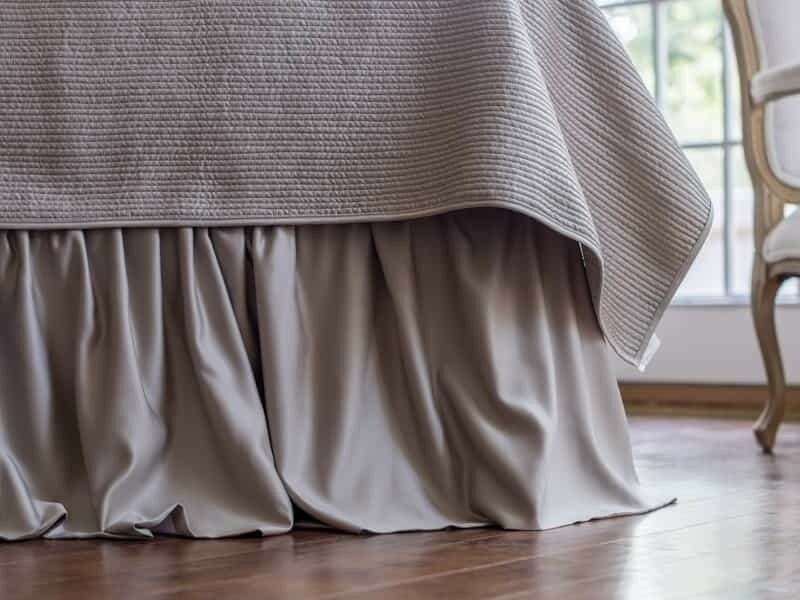 Battersea Gathered 3 Panel Bed Skirt (3/22x86) is made of Taupe Silk & Sensibility and is Adjustable up to 22". T-Pins included for attachment. Machine Washable. Imported.